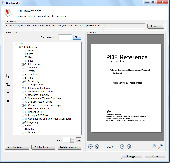 The Personal Document Enhancer is a very simple editor to build image files from HTML, Word, JPG, and PDF documents captured from screen. Easy to use solution to convert documents into Pdf. 1- right-click ... to convert your Office files into PDF2- Batch Conversion ... to convert a batch of office files, 3- convert any type of document... It lets you use Pdf printer so that you can convert any type of documents. PDFEditTools rotate pages, add blank pages, delete pages, crop pages, extract pages, merge Pdf files and pages, add headers and footers to pages, extract images from Pdf files and add images to Pdf files. convert image to Pdf, preview images,- tif, jpg, bmp,gif,wmf,emf,png. . Custom page sizes can be used . Set Pdf permissions, Add watermarks & stamps to pages. 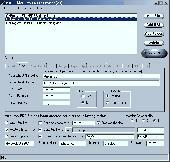 ActiveX control for Visual Basic to automatically create Adobe Acrobat PDF files from Excel worksheets, Access reports, Word documents, text files, and image files. .